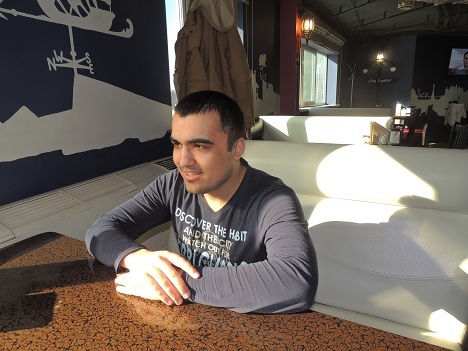 Mehrob Rakhmonkulov, a student at Kazan Federal University's Naberezhny Chelny Institute talks to RIR about studying business management at the institute and Tatar cuisine. Why did you choose Naberezhny Chelny of all places? Back home I won a scholarship. I wanted to enter uni in Kazan, but at that time I didn't speak Russian very well. Plus I knew a lot of people here, who helped me out. What was your first impression of the city and people here? The place is beautiful and clean compared to others. During my time studying, I've been to many cities in Russia (Moscow, St Petersburg, Kazan, Nizhnekamsk, Voronezh) and countries (Turkey, Kazakhstan, Uzbekistan, Malaysia, China). I was there visiting friends and classmates. Do you get on all right with young people here? I hit it off straight away with my group mates. They're great guys. They teach me Russian. Thanks to them, over these past four years I've got to grips with the language. What traditions did you bring with you from Tajikistan? I brought national Tajik plates made of wood (takavi chubi). For me they're much better. Are there any holidays or festivals here that you were struck by? Sanbantui was a real eye-opener. I saw some truly amazing contests, it was all quite extraordinary. What's do you like most from the local cuisine? Here I had my first taste of belyash [round meat pie] and uchpochmaq [triangular meat pastry]. I'm told they're Tatar national dishes. They get a thumbs-up from me. Have you thought about settling down in Chelny and starting a family here?